Colonel Harry “Paddy” Flint at Barton Stacey in England in front of the 39th Infantry Regiment HQ. The well known “AAA-O” slogan can be seen on the sides of the helmets worn by men of the 39th Infantry Regiment. It was Colonel Harry “Paddy” Flint who came up with the idea. The tale of how Colonel Harry “Paddy” Flint named his beloved 39th Infantry Regiment has several versions. The version that has been verified by several members of the 9th Infantry Division, and probably most true to the events as they happened, is that after Colonel Harry “Paddy” Flint assumed command of the Regiment in Sicily (back then it still was a Combat Team), he called his three Battalion commanders in for a meeting. He told them he was new to an infantry outfit and would need a little time to catch on to everything that should be done. Colonel Paddy had only one change in mind: “From now on” , he said, “we’re all going to work and stick together as a gang and help each other. I have a motto, you might not like it, but it is my motto, and it will be your motto too!” he continued. “Anything, Anytime, Anywhere, bar none!” he said with a loud voice. Colonel Paddy then soon after had a painter sit in view of his men, painting the “AAA-O” logo on his helmet and jeep. This would attract the attention of the men, and since Colonel Paddy had the painter stay there, anyone who wanted could also get the slogan painted on the side of their helmets. The idea caught on, more and more men had the slogan painted on their helmet. 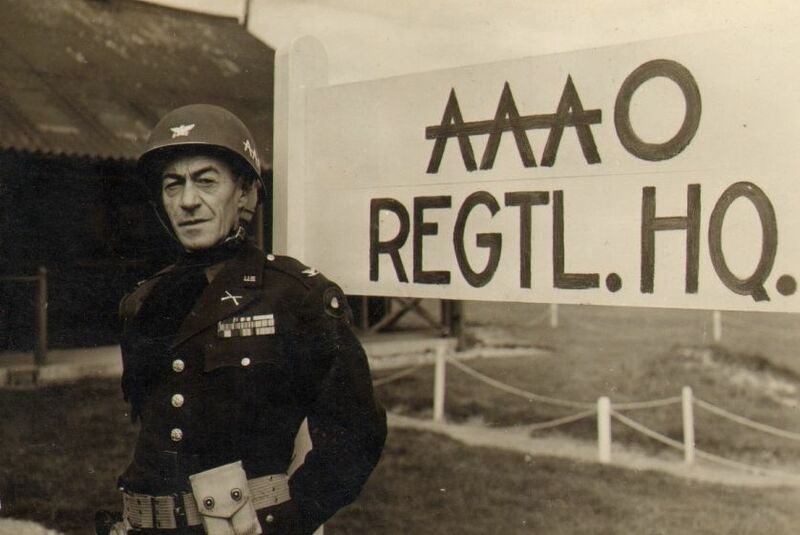 After the Battalion commanders suggested that either no one had the slogan on their helmets, or everyone, it persuaded Colonel Paddy to issue an order, making the “AAA-O” slogan part of the 39th Infantry Regimental uniform. General Patton decorates a member of the 39th Infantry Regiment who is wearing the helmet with the AAA-O markings proudly. 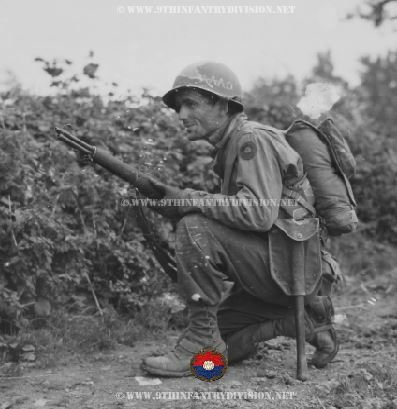 Private Nicholas Pappas wearing the AAA-O helmet. AAA-O helmets for the 39th Infantry Regiment men.